Round 1 of the All Ireland Autograss Series 2018 hosted by Down Autograss! The first of three rounds of what is expected to be a huge year for the AIAS. Taking place on the 2nd and 3rd of June with racing starting at 11:00 on both days! Admission £8/€10 per day for adults, £4/€5 for concessions and 12-16 year olds, and under 12's go free! Gates open at 16:00 Friday! Scrutiny will take place on Friday evening from 19:00 until 21:00, and Saturday morning from 8:30 until 10:00. Sign on will be open on Saturday morning from 8:30 until 10:30. Sign on fees are £13/€15 for adults and £8/€10 for juniors. We hope to see you all there for a cracking weekends racing! Keep an eye on the Down Autograss Facebook page for more info! Our season opening weekends, due to run on 31st March and 1st April, and then 15th April were unfortunately cancelled due to the weather of late. And now we have to bring you the news that we've cancelled our third weekend, the national qualifier reserve on 29th April! With the rain that has fallen and the low temperatures of late we can't go in on the field to do the works required to get the track ready, let alone race on it. We now look ahead to our next days racing on 13th May which will be our national qualifier as well. There will be a work party in the next couple of weeks to get the track ready, and this will also be a chance for those who have not yet got their licenses to apply for them before the season starts. 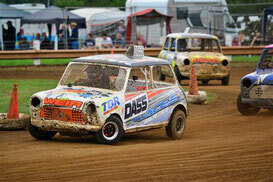 Keep an eye on here and on the Down Autograss Facebook Page for info on race dates! Our main license meeting will be held before our presentation night in the Armagh City Hotel on 27th January 2018. Licenses will be available from 6PM-8PM. This will be our only license meeting so please ensure you can attend to get yours before the season kicks off. Work parties will start from the second weekend in February and will continue every weekend until the start of the season. There is a great deal of work to be done at the track so please give some of your time to help in any way possible. Your club needs you! Further details on work parties will be given closer to the time on both Facebook and the website. Thanks! Down Autograss' annual presentation night will take place on 27th January 2018 in the Armagh City Hotel at 8:00pm! Tickets are £15 for adults and £10 for juniors. The evening will consist of our trophy presentation, finger food and a DJ afterwards. All trophies will be presented on the night! Tickets are to be pre-booked before 19th January and payed for on the night. Tickets must be pre-booked as there will be no extra tickets available on the night, and can be booked through the Down Autograss Facebook page, Brian Smyth (smyth.brian93@gmail.com), Howard Thomas or Barry Leech! 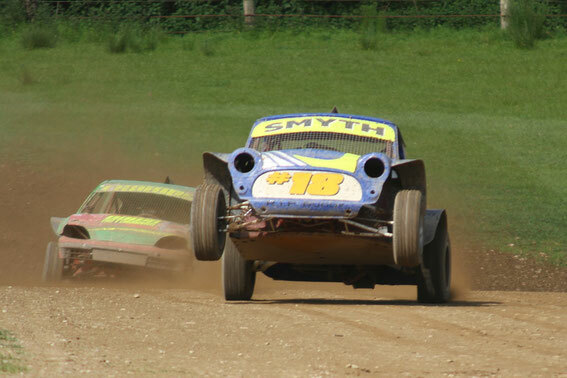 Rooms will be available in the hotel and can be booked with a discount from November 1st by quoting Down Autograss. Rooms are priced at £90 for a double, bed and breakfast, of £77 for a single, bed and breakfast. We hope you can all make it and look forward to seeing you on the night! Now that the dust has settled on our years racing we'd like to congratulate all of our class winners and thank all of you for a great year! All points can be found through the 2017 points link in the menu. Please note that only DA members are eligible for club points. Also ahead of our dinner dance in January we will need all of our perpetual trophies returned. The trophies not yet returned are Class 2/4/5/6/7/8/9/10/Junior Saloon/Junior Special/F1200/Junior Special Champion of champions. If you have any of these or any other perpetual trophies can you please give them to any of the committee members! Thanks! We would like to thank the outgoing committee for all their hard work over the past year, and wish our new committee all the best for the year ahead! 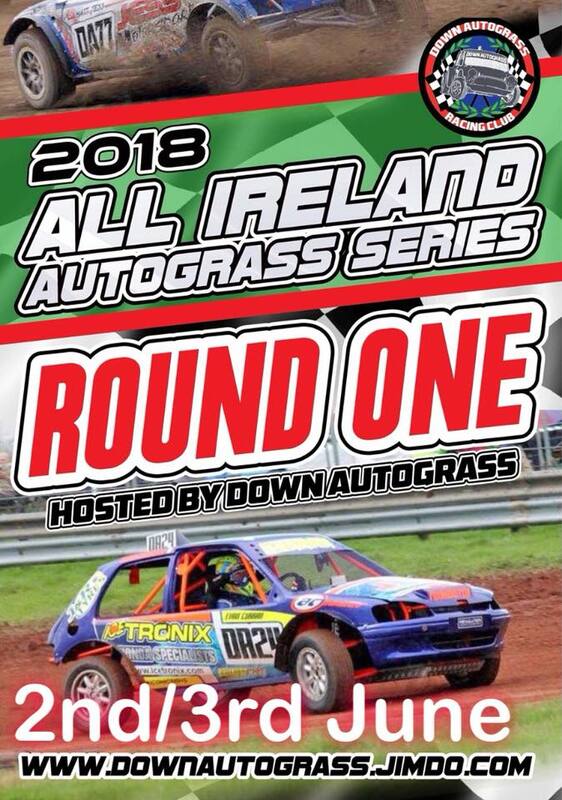 We have finalised the dates for the 2018 all Ireland autograss series. Down is the June 2nd and 3rd. Cork is July 7th and 8th. Waterford is August 25th and 26th. Also to note this is the first year of a new system that will see each of the six clubs hosting 3 events over 6 years. Cork Down and West Waterford this year. Causeway Carlow and Mallow next year and the possibility Of a shuffle the year after. All clubs were up for this therefore lets put all the negative behind us and finally make this the championship it can be. 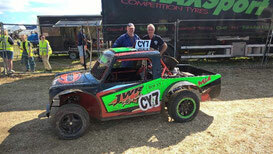 Everyone at Down Autograss would like to send their congratulations to Causeway racer John Wilde for retaining the Class 5 Nationals title at the weekend. Further to our previous post, this weekend's racing will now not be for the King of Down and various cups and shields, but just a normal weekend of racing. Racing will start at 1 on Saturday and 12 on Sunday with the aim to run 3 heats and a final each day. Any driver not scrutineered & signed on by those times will incur a penalty of starting their first heat 3 car lengths back, Any driver not signed on for start time will incur a penalty of exclusion from their opening heat. An afternoon of varied weather conditions was in store for those who attended Down Autograss on Sunday 21st of May for the second and final round of NI League National Qualifying. With a pit of 50 cars there was some great racing throughout the afternoon, one of the highlights being the class 7's which was closely contended between Barry Smyth and Howard Thomas. Anyone with cars that had minor issues on tagging day can contact Paul Parr before their first day of racing to ensure and check that anything identified has been corrected. We've received word from Jan Ward, who looks after the licenses, that she has received a number of license application with insufficient postage for the return of the license or blank envelopes for the return rather than self addresses envelopes. Please ensure if you are sending your license off it needs to be accompanied by a self addressed envelope and the right postage (2x 1st class stamps in the North, £2.45 in the South), otherwise you risk not receiving your license back. Assistant track masters Cecil Haffey. Alexander Weir. 1st 2nd July. Down Open Weekend. Cash prizes for adult classes Trophies for Juniors. Plus King of Down. Looking to get into Autograss or a change of class for 2017. Check out the For Sale section of the website. Congratulations to our Cup winners over the weekend of 10th & 11th of September. Over the weekend of 3rd & 4th of September Alexander Weir represented Down Autograss at the Juniors National Championship staged by the Wiltshire league. Competing against over 60 cars Alexander progressed through to the Semi finals, then the final and went on to win the National Championship, becoming the first Northern Ireland racer to have won the Junior Saloon title. 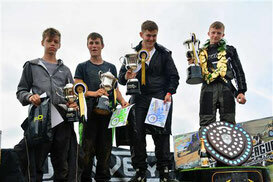 Everyone at Down Autograss would like to congratulate Alexander on his success.